If you’re looking for a holiday treat that your friends and family are sure to ooh and ahh over, this is the one. Even though these chocolate superfood bites are devilishly simple to make, they just look darn impressive. When creating these, you’ll first want to pick out your toppings. 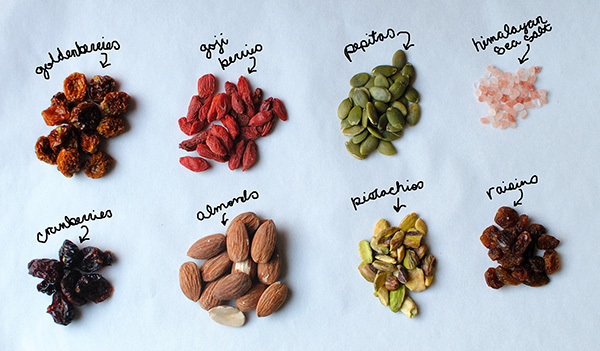 Look for nuts, seeds, and dried fruit that doesn’t have added sugar. I hit up the bulk section to find my ingredients and I recommend you do the same. Since you don’t need much of each ingredient, you’ll save money and you might also be able to choose from a wider variety of toppings. 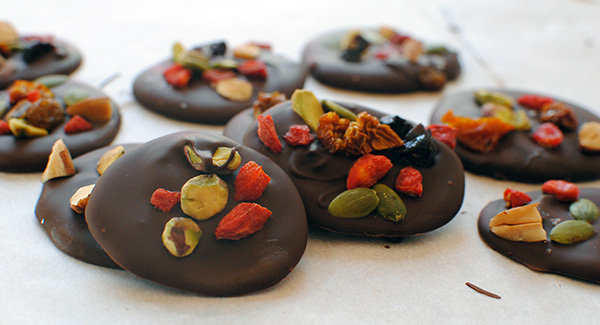 For the chocolate bites pictured, I used goldenberries, goji berries, almonds, pepitas (pumpkin seeds), almonds, Himalayan sea salt, and cranberries. I also made a few “naughty” ones with candied ginger and spiced mango slices. Shhh. Before melting the chocolate, you’ll want to prep all your toppings. Roughly chop the nuts and the fruits and separate them into piles so you can be creative as you go. Kids are likely to love this project, so if you have little ones, get them involved once it’s time to melt the chocolate. Melting the chocolate is easy. If you’re using chocolate chips or callets, simply pour 8 ounces of them into a microwave-safe bowl and then heat them in the microwave at half power for one minute. Stir them with a spoon, then heat for another 30 seconds. Stir. 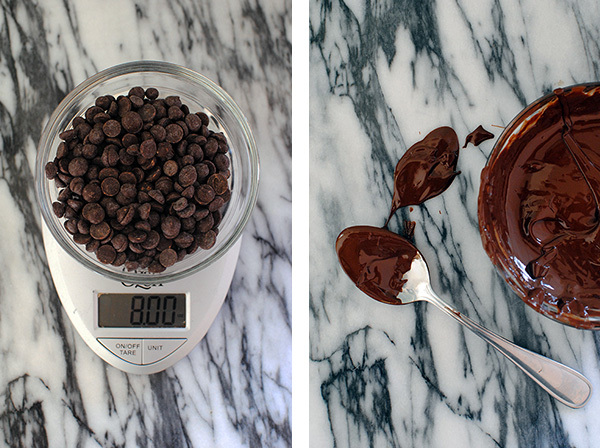 Repeat this process until the chocolate is fully melted. Alternatively, you can melt the chocolate in a double boiler. Just make sure not to get water anywhere near the chocolate. Water will cause the chocolate to seize and become unworkable. Once the chocolate has melted, place a sheet of parchment on a baking sheet and place the bowl of melted chocolate next to it. 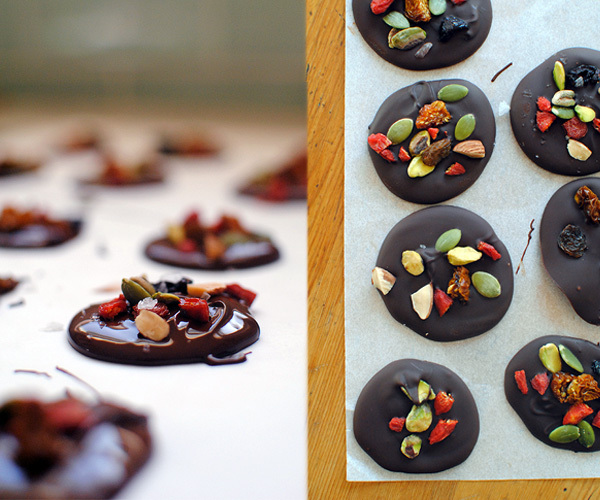 Using a spoon, create the small chocolate circle on the parchment. I found it helpful to scoop up about 1/2 a spoon’s worth of chocolate, pour it off the spoon onto the parchment, and then use the spoon to push the chocolate until it formed a circular shape. That made the chocolate medallions thick enough to feel like a substantial snack. After the medallions have been created, sprinkle each with the toppings. They don’t all have to match, so have fun with this part. When you’re done, pop the tray into the fridge and let them harden. Now, here’s the thing…when you do it this way and don’t temper the chocolate, the chocolate is likely to melt slightly when it’s at room temperature. Unless you live in the North Pole. Outside. If you don’t, I recommend storing them in the fridge. The only way around this is to temper the chocolate, but that’s a bit of a process. Chocolate Superfood Bites Total Time: 17 min. • The following raw nuts (alone or in combination) can be substituted for pistachios: almonds, cashews, hazelnuts, macadamia nuts, peanuts, pecans, or walnuts. • The following seeds (alone or in combination) can be substituted for pumpkin seeds: chia seeds, flax seeds, hemp seeds, or sunflower seeds. • The following unsweetened dried fruits (alone or in combination) can be substituted for cranberries: apricots, blueberries, mangos, raisins, or tart red cherries. • Substitute unsweetened shredded coconut for seeds.